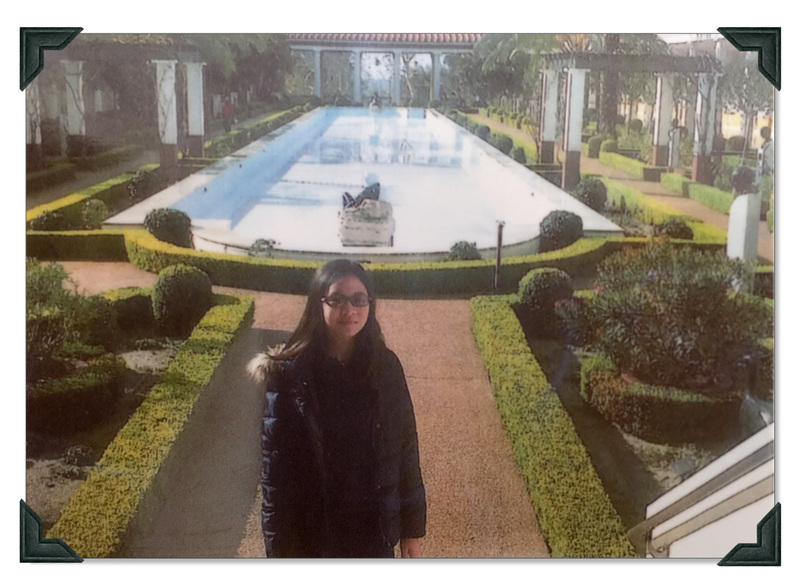 Editor’s note: We recently received this charming essay written by a local student who visited the Getty Villa with her school and wrote a response essay for class. Mom Amy and author Harper have given us permission to share it here on The Iris. We’ve left her text exactly as written. The Getty Villa and museum is home to many Roman and Greek antiquities and artifacts. Preserved for thousands of years, these precious relics from ancient civilizations are kept on display in the villa for all to see. 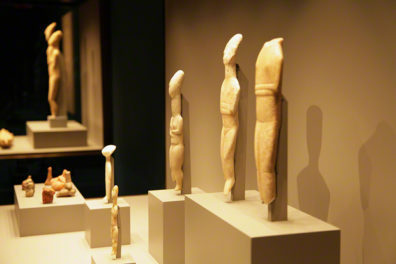 In this museum, there are many exhibits showcasing objects from statues to mummies. Three exhibits that would really enhance your trip, however, is the gods and goddesses exhibits, the jewelry exhibit, and the Family Forum. The Greek gods and goddesses exhibits consists of statues, busts, statuettes, jars and more made in the form of a god or goddess. Dionysius, or Bacchus (Roman form), god of wine and theater, was a big part of ancient drama. 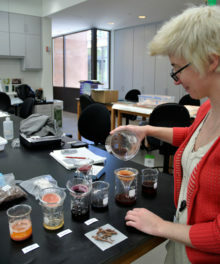 He also has lots of jars and vessels with pictures of him. Athena, or Minerva, was also a big part of ancient art. There are many statues of the god king Zeus, and the lady of love and beauty, Aphrodite. Images of twins, sun god Apollo and Huntress Artemis are carved into bowls and busts. Minor gods and goddesses can be found on statuettes and heroes of Greek mythology are sculpted on sarcophaguses and also large vases. Coins, jewelry, and more are emblazoned with the ancient deities. It doesn’t matter if you are a scholar or a beginner in learning Greek mythology, if you want to find a god or goddess of your choice, it will be in the Greek mythology exhibits. 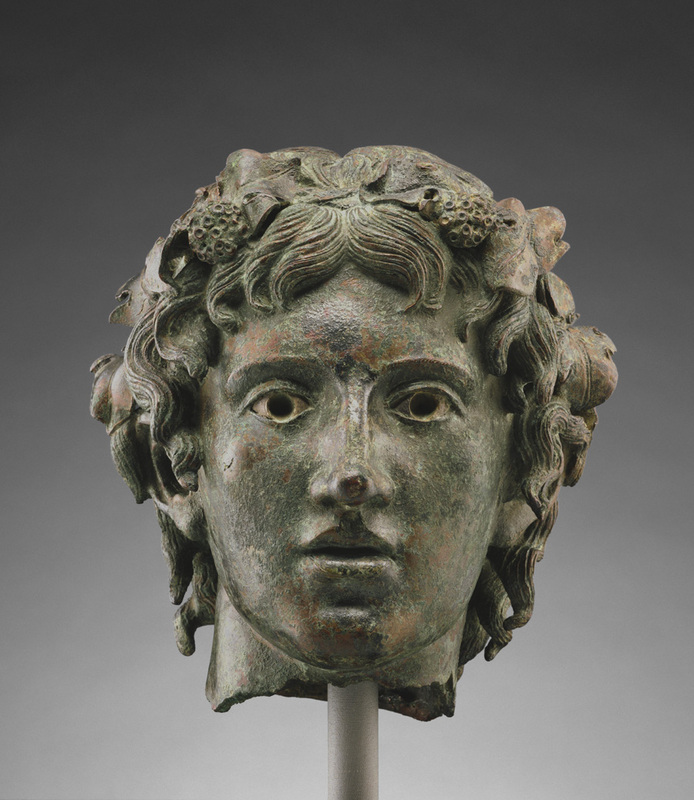 You can lose yourself in the history of the Olympians in these exhibitions. Be amazed by the myths that have been told for thousands of years. And see the aged beauty of the olden arts. 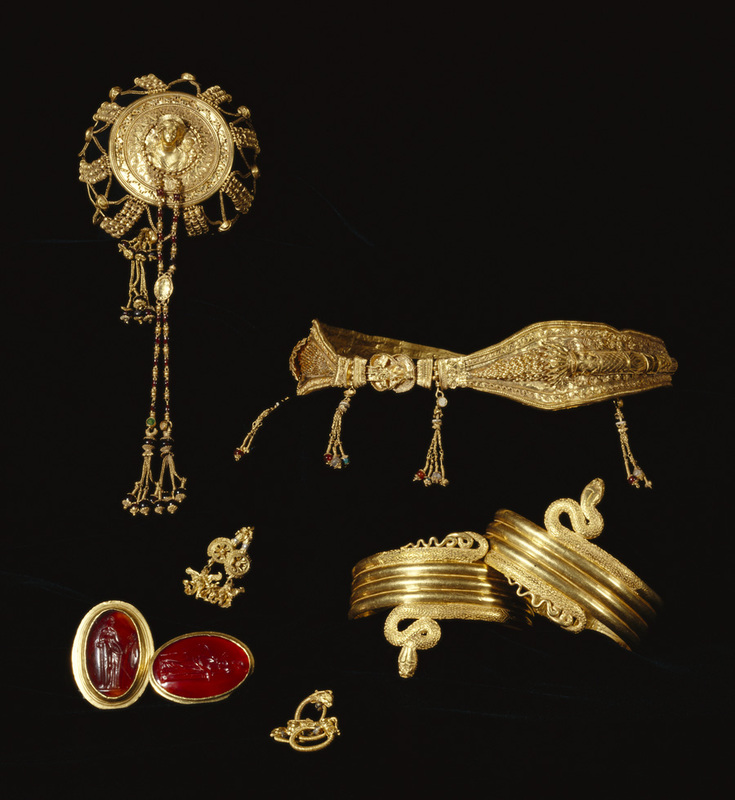 Jewelry from the ancient world is spread out in the Getty. But if you have the right map or if it falls on your path, you will find a small alcove-like room with jewelry and coins in the historical world. Golden snake bracelets, large rings with precious stones set into them, and pendants with images on them. A large necklace on display shimmers with emerald, garnet, and sapphire. Tall weaved stools can be pushed out to sit on to enjoy looking at the precious jewelry. Coins on the other side are carved with images of Apollo and Artemis, Athena and Zeus. Various rulers’ names are written on the top. Ancient people definitely didn’t like their wealth and glam any less than we do. Wandering through the large corridors, you can see glass cases filled with small artifacts. Among them is a small collection of jewelry. They are spread out, but if you look, you will find many pieces of jewelry. Among them is a long glass hairpin and peacock pendants, the sacred animal of Hera, the queen of the gods. Looking at this collection of the past, one thing is clear: human has not changed in liking jewelry and showcasing wealth any more than they did thousands of years ago. Ending your trip to the Family Forum is a great way to end the day. A small room with a cozy atmosphere, it is a nice time to do interactive activities with your family. A big screen, projecting different scenes from art, is a source of entertainment. Use small foam props to create a play in the forum, and remember, you will look pretty cool as a sword-wielding silhouette or a laurel-wearing winner playing a lyre. You can also design different vases and jars with erasable markers. Sketching patterns onto a vase is also fun to work it. Role playing as a vase designer or a ancient actor is fun and a great way to experience history. After awhile, you’ll never want to leave the ancient times. In conclusion, the Getty is a great museum to visit and dream in. Inspirations cries to you, and the spirit of art is in the air. The Greek mythology exhibit, the jewelry exhibit, and the Family Forum may just top your go-to list in the museum. My hope is that you will be awed and inspired by the museum. You will treasure the memories in your visit. And remember, a museum like this will always be around to welcome you home. Text of this post © Harper Tzou. All rights reserved. What a wonderful girl is Harper…. Excellent description of the museum. Harper! This is wonderful! 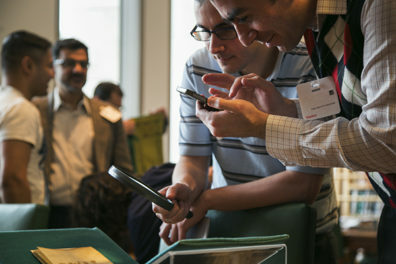 I love the way you described the things you saw and how you made it feel like your reader was discovering it with you!